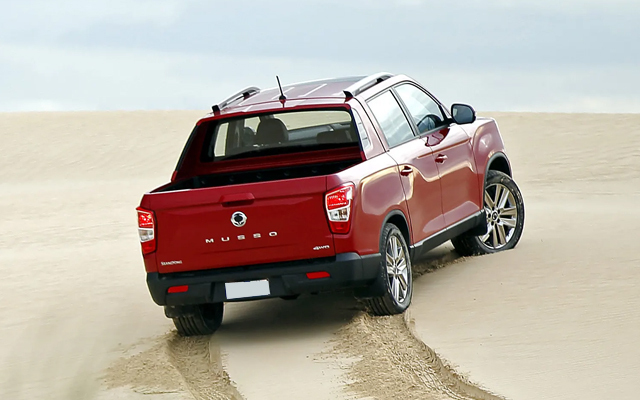 The SsangYong Musso isn’t among the most recognizable names in the growing pickup truck market but this, recently redesigned, mid-size model has several class-leading features and many good sides. A competitive price is something that is expected to be one of the selling points for such a small brand but SsangYong offers also the segment-leading warranty. However, there are more aspects where the SsangYong Musso is good at. Thanks to the recent redesign, the truck provides good comfort and refinement combined with good ride and modern tech and safety features. The brand has also more in perspective for the fresh SsangYong Musso. The mid-size truck will get the electrified version around 2020 promising the range at around 450 km. The electric truck version will use a two-motor setup. So, the next big update for the solid SsangYong Musso will be the electrification but the version should hit the market as the 2021 or even 2022 version. 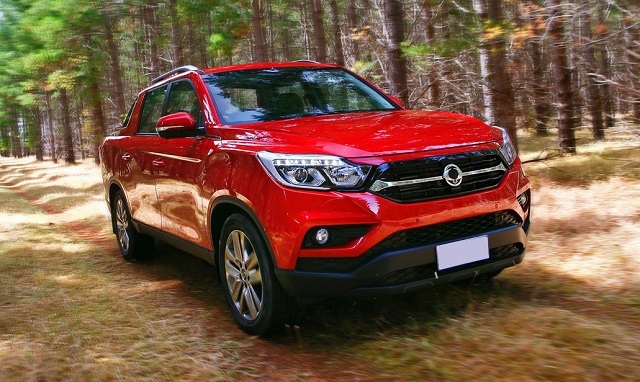 In the meantime, the 2020 SsangYong Musso will come with minimal changes related to some equipment meddling and several new features. The 2020 SsangYong Musso will return in the same shape and form following the recent redesign in 2018. The notable styling changes will arrive with the next mid-cycle update. The brands will offer new color combinations, wheel options and possibly new special edition versions to keep the attention on the model. The SsangYong Musso is based on the body-on-frame platform which utilizes Advanced High Strength Steel and the same architecture underpins the second generation Rexton SUV. As for the styling of the model, the recent redesign made it more appealing to the eye by using more elegant lines and modern styling elements. The truck applies the brand’s new styling language called Nature Born 3 motion. The front side is defined with the six-sided grille and angular headlights with attractive signature lighting. Sharp profile lines and sculpted fenders add also to model’s appearance and the model will also offer attractive wheel options with size up to 20 inches. Interior of the Musso is also much more refined and better-equipped thanks to the last redesign and there won’t be big changes for the next version in that regard. The brand will likely offer a new special edition version with unique exterior and interior details. The Musso will provide great ride comfort and comes with soft and high-comfort seats. A well-designed center console will have all controls easy to manipulate and detect. There will also be plenty of refinement and modern tech inside the truck’s cabin. The model will provide great infotainment system with smartphone support and large 9.2-inch touchscreen option. The Musso will also provide DAB radio, heated and ventilated seats, leather upholstery, heated steering wheel, etc. The brand has also the eye on the safety of passengers and will equip the model with advanced safety equipment like a surround view camera, lane change assist, blind spot detection with rear cross traffic, and autonomous emergency braking. The power for the 2020 SsangYong Musso will provide familiar, Mercedes-sourced turbodiesel engine. The same unit is used in the Rexton SUV but the mid-size SUV combines the engine with the 7-speed automatic transmission while the truck will come with the Aisin six-speed automatic unit. The manual gearbox will also be available. A 2.2-liter turbodiesel four-cylinder engine will provide 181 horsepower and peak torque of 400 Nm. The max power will be available at 4000 rpm and torque at 1,200-2,800 rpm. The truck will come with the two- and part-time four-wheel drive. The max towing capability will match 3, 500 kg and loading capacity will be over 1000 kg. The 2020 SsangYong Musso will go on sale late in 2019. The brand will likely keep the price competitive and close to the current range.